Frederick Chapman was a lawyer and ethnologist who served as a judge of the Supreme Court of New Zealand. Frederick Chapman was born at Wellington. Soon after, his family moved to Van Diemen’s Land (Tasmania) for two years, and then to Melbourne. In 1864 Chapman went to London to study at King’s College. Having been called to the Bar in London, and after gaining some experience there, Frederick Chapman moved to Dunedin, where he would practice law for the next 31 years. New Zealand’s legal profession was in its infancy, and Chapman was a key figure in its development. In 1875 he was the editor of the New Zealand Jurist, and from 1876 to 1878 he was the sole law lecturer at Otago University. He later served as president of the Otago and Southland District Law Society, and was chairman of the Board of Conciliation for the Otago and Southland Industrial District. Chapman’s passion for Māori antiquities led to his being known as a leading ethnologist. He produced key papers in the field, and was a member of the Polynesian Society until his death. In 1875-76 he also served as a town councillor in Dunedin. 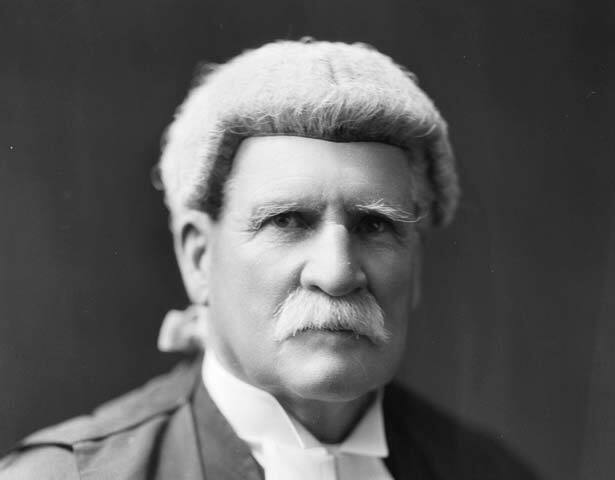 In 1903 Chapman was appointed to the Supreme Court of New Zealand, as the first New Zealand-born judge. For the next few years he spent most of his time serving on the Court of Arbitration, dealing with disputes between employers and their workers. From 1907 to 1921 he served in the Supreme Court, where he was known for scholarly judgements and scrupulous fairness. He was present for significant changes to the legal system, including in 1920, when fingerprint evidence was permitted for the first time. He is remembered in part for his sentencing of Rua Kēnana, which was seen as needlessly harsh at the time, and was protested by eight of his fellow jurors. Upon retirement from the bench, Chapman continued to study science and nature, and produced work on astronomy, the origin of life and the earth’s crust. We have 1 event in history, 7 biographies, related to Frederick Chapman.